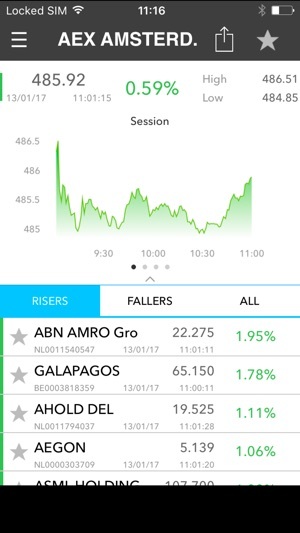 The Euronext Market Insight app features comprehensive information and analytics from Euronext’s equity and derivatives markets, as well as other key market and economic data from the world’s financial markets. 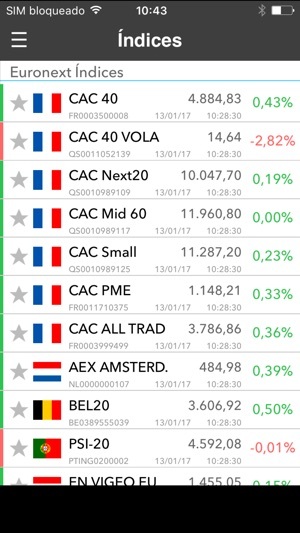 • Real-time sentiment values and trending news on all Euronext listed companies. 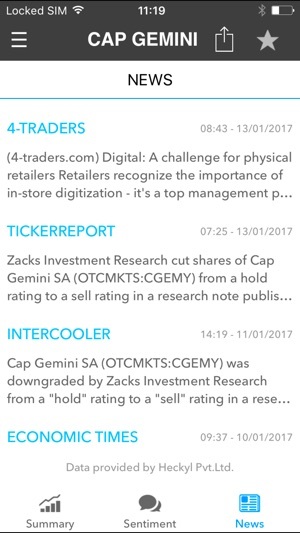 • Sophisticated portfolio tracking and alerts capabilities. 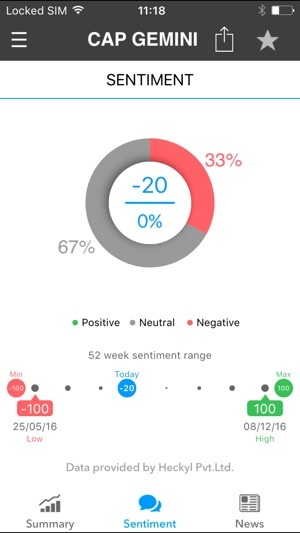 Additionally, the new “Plus” and “Premium” versions of the app (available through in-app subscription) provide premium content and analytics, including real-time data, enhanced portfolio and alert capabilities, sophisticated company analytics and no advertisements. 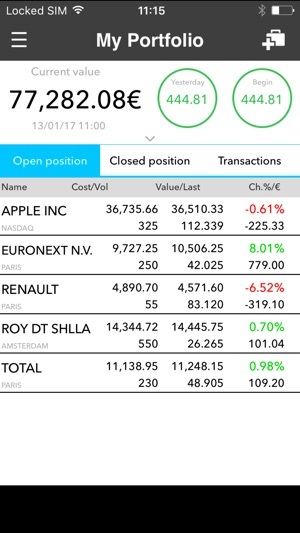 The initial subscription payment for Euronext Market Insight Plus and Premium services will be charged to the user's iTunes account on confirmation of purchase. After the initial purchase, the subscription will be automatically renewed at the end of each subscription period (MONTHLY). The iTunes user account will be charged for renewal within 24-hours prior to the end of the current period. Subscriptions can be managed by the user and auto-renewal may be turned off by going to the user’s account settings after purchase. Good app. The advertisments are truly annoying when ypur in a hurry to get a quote. Ahould have pay version without adds or at least put the adds in less intrusive way. Also last thing i'm thinking about when i'm trying to get a quote on something Im tryi g to buy or sell is an advertisement to buy a new game. Probably could have better judgement of timing and type of ads.